You will build your awareness of the body to release tension and learn how to let go. This course is for complete beginners and no prior experience or knowledge of Qigong is necessary. Wear loose clothing that you are comfortable moving around in and that is not restricting. Shoes with flat soles are advised. Qigong is a gentle exercise that is suitable for all ages. This comprehensive Qigong workout provides an effective method of preventing and managing backache. There are 20 Qigong movements which are taught in detail, step by step. At the end of each group of movements there is a Flow sequence to help you remember and create your daily Qigong practice. We will also be covering Mindfulness for stress, a simple but extremely effective breathing exercise that reduces tension, a joint loosening workout and a Body Scan meditation. 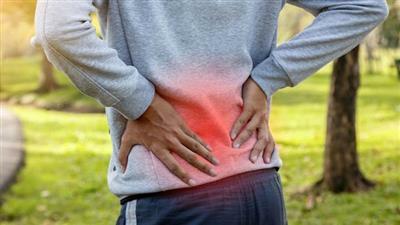 Anyone who would like to prevent back problems using a gentle system of exercise. If you suffer from backache or tension then this is the ideal course for you. You may have tried other therapies but nothing seems to help and you don't want to rely on painkillers for the rest of your life. You want to find a more natural solution and to feel that you are doing something yourself to relieve the ache and tension. You want to learn how to relax and let go of the tension in your body so that it doesn't affect your overall health and wellbeing. Anyone who would like to feel more relaxed and at ease within their body.